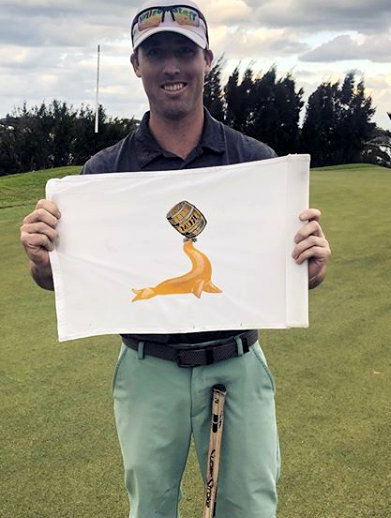 David Lawrence led from wire to wire to claim the 2018 Goslings International Invitational at the Belmont Hills. Lawrence fired a 1-under par Final Round 69 to claim the title by 2 strokes over Henry Smart at 7-under par. Lawrence’s Final Round consist of 5 Birdies, 9 Pars and 4 Bogey’s. Smart started the day in third place and he shot a 3-under par 67 to finish at 5-under par. Amateur Herbie Aikens finished third at Even Par after he shot a Final Round 3-under par 67. Amateur player Damian Palanyandi finished as the top Bermuda player and second in the Amateur Field T15 at 11-over par after a Final Round of 6-over par 72, Camiko Smith alsi finished at 11-over par after his Final Round 1-under par 69.